now this twig is full bloom in my kitchen; a january miracle. growing up my Mom often told me that stolen flowers always smell the sweetest. Ha,for some strange reason, they are so much more magical! Thanks for this lovely (hopeful) image on this horribly frigid day. but you'd have to charge? 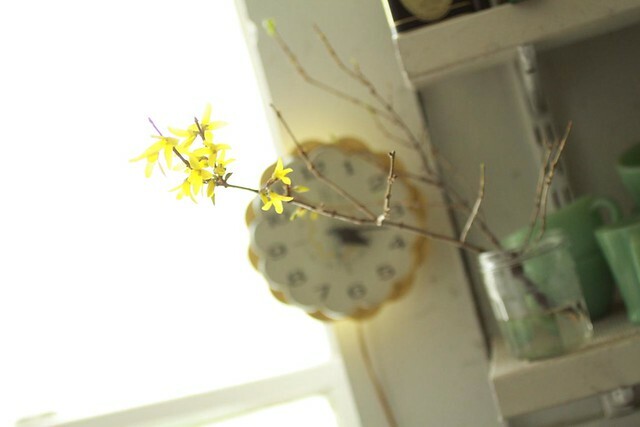 I love forsythia. They make me feel like spring must not be so far away. 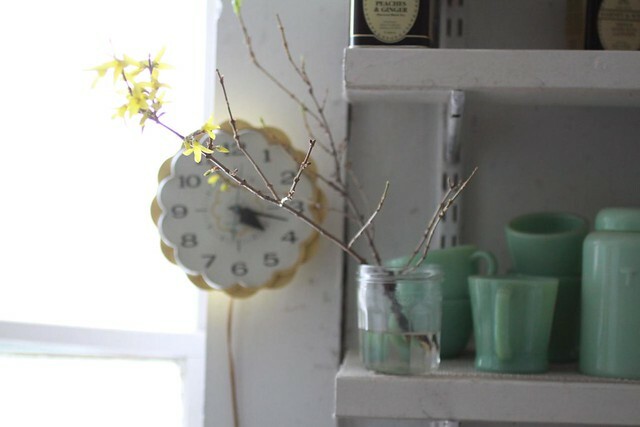 love forsythia too. And kerrias.